Scott Baio is coming under fire fore speculating about the cause of death of his former co-star Erin Moran. 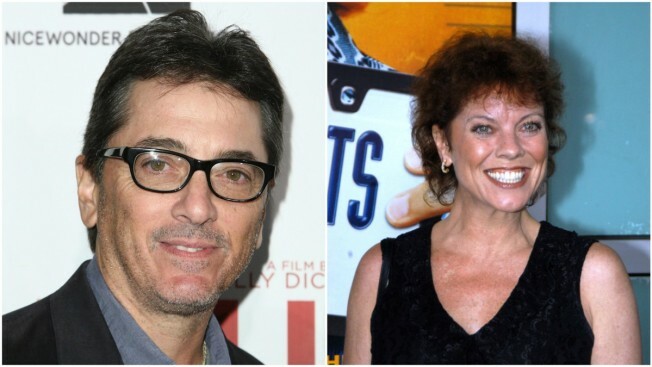 Scott Baio is coming under fire for a radio interview where the former "Happy Days" and "Joanie Loves Chachi" star insinuated drugs may have played a role in former co-star Erin Moran's death. Baio gave the interview before a statement was released Monday by the Harrison County Sheriff's Department citing an autopsy which revealed the 56-year-old actress had stage-four cancer. After the cancer revelation Baio was heavily criticized across social media. Question for @ScottBaio: Do you regret saying "if you do drugs, you're going to die" of Erin Moran, now that we know she died of cancer? Baio later took to Facebook defending his interviewing, saying he was only speculating as to Moran's cause of death and said much of the criticism being lobbied his way was politically motivated. Baio is an ardent Donald Trump supporter. "I was asked ONLY about Erin's troubled past due to drug & alcohol abuse. I was still upset and said I felt living that kind of lifestyle will catch up with you and nothing good would come of it," Baio wrote. "This was before the cause of death was announced stating Stage four cancer. Now it seems every news outlet & tabloid wants to paint a different picture of me and what really happened. This is so wrong. Now I truly understand the meaning of "Fake News."